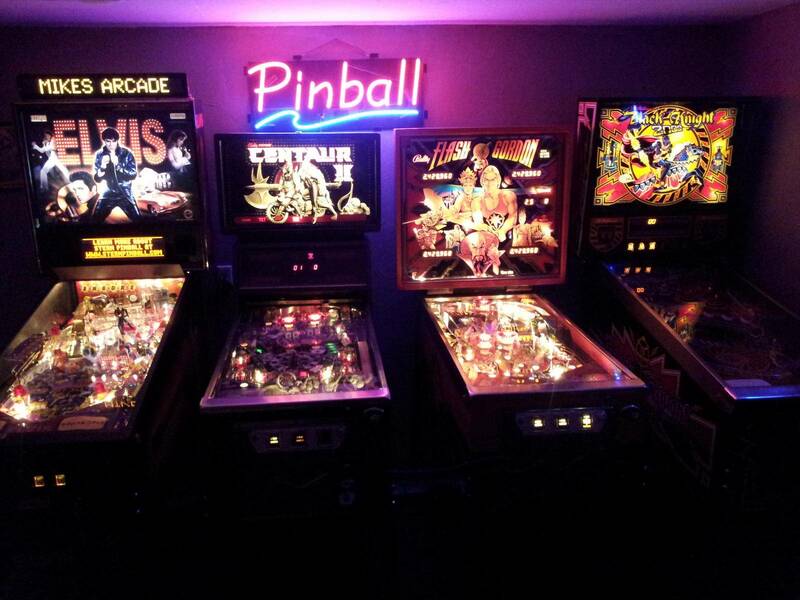 » Forum » All Pinball » What are some of the most UNDERrated pins not found in Pinside top 50??? » What are some of the most UNDERrated pins not found in Pinside top 50??? There are 118 posts in this topic. You are on page 1 of 3. Agreed - another fun game from Pat Lawlor. *Starship Troopers - Cool theme, and Sega did a much better job with this table than they did with the similarly themed ID4 (which should have been awesome). Raven. People have been bad mouthing that pin for years to keep prices low. A sleeper. Great pin. If word got out it would be $10K by Christmas. NBAFB. Cheap and a whole lot of fun. Very underrated imho. No one for Junk Yard?? What about Goldeneye?? Flash. Liked it back in the day, have one now myself. Any game that someone owns that isn't in the top 50. Nah, I think any game you've played and really liked that's not in the top 50 makes this list. I think the original 5-10 guys who started the whole DMD collector craze may have been a little narrow-minded in what they thought were the best pins 10-15 years ago. That word of mouth kept getting passed down from old collectors to new. Nobody wanted to piss off the old guard, so they just kept speaking highly of the same 10 machines (while slowly boosting the values on those pins), and shunning, ignoring or secretly but silently enjoying everything else. I noticed the same type of mentality in the arcade collector's world. If guys who'd been in the hobby for 10 years said it sucked, then you better agree. Try liking something that traditionally has been looked down on and you may get laughed at or kicked out of the club. On the same token, if those dudes said it was rare, awesome and worth 3 grand, you'd better just agree, no matter how boring or overrated the game actually was. It seems the pinball collector world is pretty much the same. The only difference is that there are still new machines being released every year, and some of those are actually cracking the top 10 and pushing some of the old guard selections out. That's what I find a little intriguing. The fact that BK2K isn't in the top 50, but BSD is in the top 25 is a travesty (drops mic). Mary shelly's Frankenstein. Man what a cool game, franky actually chucking 6 balls at you. It's got to be rated up there with the best toys. This game didn't even use to be in the top 100 when I first logged on. They are wanting too much for them now, I should have got one a few years ago. If x-men had wolverine slinging balls or stopping them with his claws.......oh man that would be sweet. They just don't make toys like they use too. I agree with OP.....Dirty Harry- very underrated- It's just raw fun. HS, RBION, DH, Banzai Run. Spanish Eyes by Williams. Play it and you will be a believer. After playing pins for hours at the National Pinball Museum, two pins that stood out for me were Funhouse and Comet. Does JP count since it's #50? Swords of Fury and Stargate. Star Wars Episode 1 (ranked 107). Okay, I've only been playing it for three days, but I've had a lot of fun doing it. If this was re-badged The Empire Strikes Back with the exact same layout it would be in the top 50 IMHO. Thanks, somehow I missed it. And I know there is a lot of hate for XF, but I dig that one too. #141 Jokerz! - was a favorite among my pinball buddies back in the day. It ate more of my quarters than pinbot, whirlwind or funhouse, which were in the same arcade. I'm not saying it's better but it held it's own at that arcade. I watched them empty the cash box quite often and it earned well at that arcade. #125 Space Shuttle - This rating is so low, it's almost criminal. A top 25 for me, for sure. This game and pinbot *are* pinball to me. I'm not sharing the one i want the most. I don't need more competition for it. Another vote for Tales from the freaking crypt. I'm so grateful it is a data east so it didn't cost 6K. I'd go with HS, T2, and Centaur. Johnny Mnemonic is a top 50 pin for me. Fast and fun with some interesting toys and rules.